Z, and C Eaves Beam sections and accessories. The products are formed from hot dipped galvanized steel coil. Purlins are framing members that span parallel to the building eave, and support the roof or wall sheeting. The purlins are in turn supported by rafters or walls. They are secondary members that are made of cold-formed steel. They are typically C and Z sections. 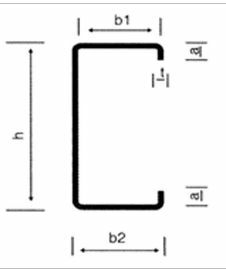 Cold-formed members can be efficient on a weight basis relative to mill rolled sections for secondary member applications. 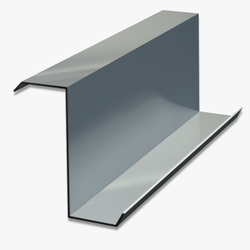 Include customer designed Z and C purling and Eaves Beam sections to individual designs for special applications. 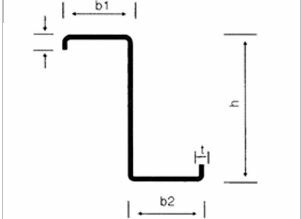 Our extensive stock of full width coils in various gauges and our capability to cut, fold and punch these materials allow us to offer solutions to almost all situations. 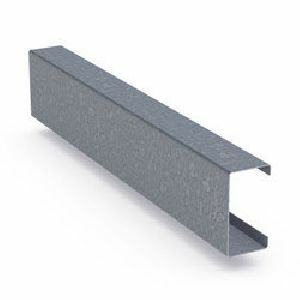 CEE and ZED sections are roll-formed from galvanised steel complying with AS1397-2001. In the grades shown, the number prefixed with G indicates minimum yield stress in MPa; and the number prefixed with Z indicates minimum coating mass in g/m2.